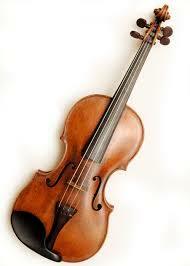 I need to improve my violin playing and practicing. I don’t practice every day like I should and I need to. I am going to try to find the time to practice every day. I have a lot to do during the day but I could probably find time to do it. I am going to practice every day after school for at least thirty minutes. If I do that, it will pay off by being better at violin and doing better in a orchestra. Even when I stop taking orchestra, learning to make plans to improve will help me in my career and in my later life. I would also be more confident in my violin playing so I will be happier in orchestra. When I do practice, I can see a really big difference in my playing in class. Mr. Beck is also happier with me when I practice because I am better at the songs. Right now, when I’m practicing my solo, I can tell that when I practice, I do way better. Posted on November 29, 2018 by Julia	• Bookmark the permalink. I also play an instrument and my teacher is so much happier when I practice. I feel so much happier when I practice. that’s a great goal. That’s also cool how you are doing this so you can prepare yourself to make plans later on. © Content copyright - Julia Wind.